"As i watched the video more intently, i'm being drawn to the movement of the lower limbs ie. from the hips down. Can i assume that master hwa advocates the separation of ying-yang footing i.e. 100% weight on one leg and the other 0%, in all postures (except the end of single whip)? Whilst i understand the weight shifting from one posture to another - i'm interested to know the weight distribution e.g. brush knee twist step at the end. Is it 100% in the front leg and the back leg is insubstantial? i'm studying the classics by zhang sang feng and it was mentioned that one should not lean on any sides. i would intepret this as leaning forward, backward, or at the sides - but if there is 100% weight on one leg, i do assume that there is a leaning force involve? " In Classical Tai Chi my teacher Master Stephen Hwa explains the principles of movement (the how and why) in terms of Yin and Yang. 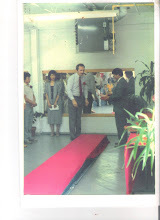 This is explained in detail in the: DVD series, Yahoo Email Group, Classical Tai Chi Forum, Classical Tai Chi Website (Table of Contents for DVD). He also explains the principles in terms of "body weight distribution". When one moves they do not let their weight "distribute" itself in an out of control manner. This is a grievous error and can have both health and martial consequences. This is illustrated in the Tai Chi Walk as seen in the attached video link to Youtube. When one takes a step forward in Classical Tai Chi the weight stays 100% on the back foot until the front foot is flat on the ground 0%. The practitioner will then pull the body forward till the body weight 100% is on the front foot with the back foot becoming 0%. The body weight distribution is both dynamic, fluid and continuous through all postures with no exception. 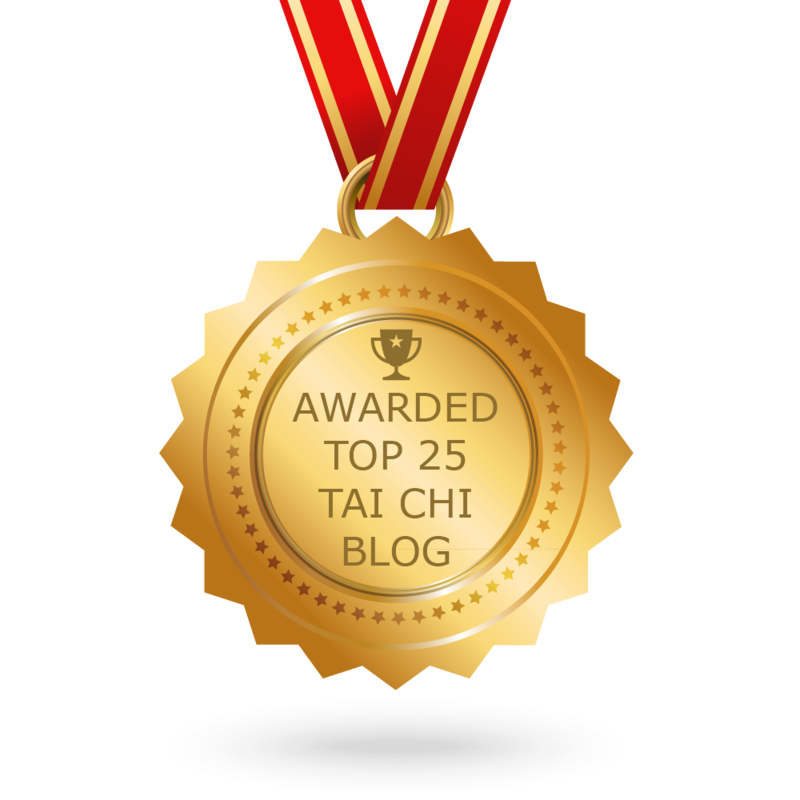 An understanding of "leaning" in Classical Tai Chi should encompass the thought that one should take the Tai Chi Classics with the proverbial "grain of salt". The Classics are as Master Hwa has said and are "attributed to various authors". Regardless of who wrote them, we did not hear of them until Wu Yu Xiang "found them in a Salt Shop". The Classics for one do not specify what they mean by "lean". Did the mystical Zhang Sanfeng mean don't lean at all, don't lean too much, etc? Then there is definition: 倾斜 is better defined as "incline, tip, bias, slope, etc. I'm not fluent in Chinese but even I cannot find "lean" defined as "incline" in Chinese. Lean in Chinese is more like "thin" as in a lean piece of meat. I like "incline" better than "lean" for Tai Chi terms etc. and in pinyin one says "Qingxie". 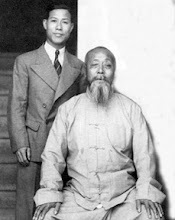 There is usage of the term "incline" in the Wu Family Gold Book as elucidated by Grandmaster Wu Kung Cho. What he means is do not "incline" by breaking at the waist. You see a lot of "breaking at the waist" in some styles of Tai Chi, it is painful to watch. Master Hwa does use the term "lean". In his explanation, he makes it work in English where "incline" would not. He does not caution against it as does Zhang Sanfeng, on the contrary he tells us how and why we need to do it. It is discussed in detail on page 56 of his treatise in the book "Uncovering the Treasure". I think there is a key point there in regard to not "breaking at the waist" when he says: "The head, the body and the back leg form a straight line in the lean forward". With that in mind one can readily see that breaking at the waist would break the straight line and any energy flow. To sum it up, I think that the Classics while having some key insights are often filled with "contrariness" and can be very cryptic. I would therefore not attribute deviation in basic principles of Classical Tai Chi to what are often contrary statement in the Tai Chi Classics...hence "take it with a grain of salt".